PETALING JAYA, 26 September 2018 – The Discovery Sport delivers even more outstanding performance, refinement and efficiency with the newly fitted 240PS turbocharged Ingenium Petrol engine which delivers 340Nm of torque as well as an improved interior for maximum comfort, safety and versatility. Paired with the ZF nine-speed automatic transmission, the Discovery Sport offers a smooth and responsive drive. The nine closely-stacked gear ratios provide excellent response and allow for a very low first gear, improved mid-range acceleration and a tall ninth gear for reduced engine revs at higher cruising speeds; all of which, reduces fuel consumption, emissions and engine noise. Not only is the new Land Rover Discovery Sport more powerful, it also demonstrates the breadth of Land Rover’s ability while at maximum passenger capacity, the Discovery Sport continues to offer customers an unrivalled all-terrain capability, without sacrificing comfort. 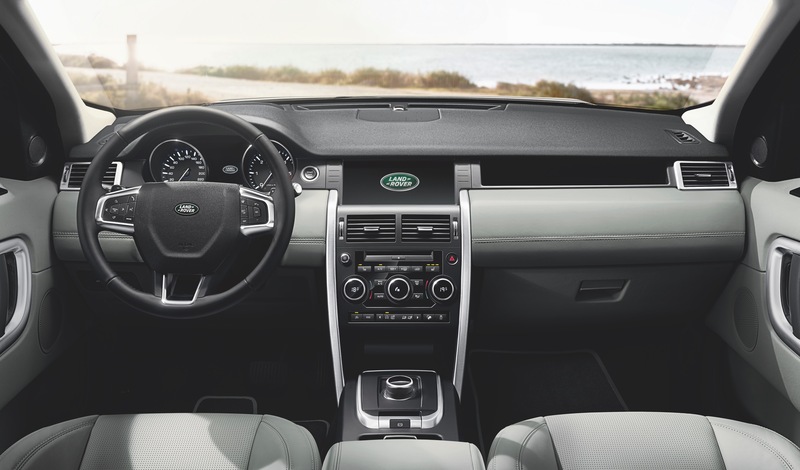 The interior of the Discovery Sport has been designed to provide versatility and a calming space, one in which every occupant feels equally comfortable. Although the Malaysian version comes with a 5-seater as standard, it is configurable to 5+2 seating* as an option which is unique-in-segment. At an early stage in the vehicle’s development programme, Land Rover designers invited a large cross-section of families to a development centre in the UK. The design team watched on as the families climbed into a variety of SUVs, accessed third-row seating, synced electronic devices, attached child seats to ISOFIX anchor points and placed drinks containers in cup holders. The findings helped shape the Discovery Sport into one of the most versatile premium compact SUVs in the market today. Sharing a similar design as the Range Rover Evoque, the front architecture of the Discovery Sport includes a magnesium crossbeam for outstanding torsional rigidity and reduced weight. However, the B-pillar rearwards is unique to the Discovery Sport, with thousands of hours invested in ensuring every component is packaged as compactly as possible. The result is maximum interior space, and peerless off-road capability in a surprisingly compact footprint. Featuring lightweight aluminium chassis components for high strength and reduced unsprung weight, the chassis also helps reduce interior noise and increase occupant space. Coil springs are used on the front suspension, with steel front lower control arms and aluminium suspension knuckles, while the suspension struts use advanced hydraulic rebound stops for excellent refinement. A compact multi-link rear axle provides numerous benefits. These include exceptional on-road agility, wheel travel and axle articulation – at 340mm – and extremely high levels of composure in on or off-road environments. The rear axle reduces road noise entering the cabin, while the suspension turrets make only minimal intrusion into the luggage area, allowing row-two seating to slide and recline past the turrets for maximum leg-room. Safety is always a priority in engineering Land Rover vehicles. The Discovery Sport offers a comprehensive occupant safety package which includes driver and passenger airbags, knee airbags, side curtain and thorax airbag are included in the Discovery Sport. Adding on to the cutting-edge technology of the Discovery Sport is the InControl Touch Pro infotainment system that is offered through a high-definition touchscreen. The touchscreen behaves like a smartphone with customisable home screen and wallpaper as well as the ability to add widgets for shortcuts to favourite features. All vehicles distributed by Jaguar Land Rover Malaysia are compatible with the Malaysian climate, environment, fuel quality and meet the Malaysian emission standards. All Land Rover vehicles distributed by authorised dealers also come with ‘Land Rover Care’ programme which is based on whichever comes first i.e a 5-year Warranty or 150,000km, 5-year Servicing or 65,000km and 3-year Roadside Assistance. Please visit www.landrover.com.my for more information.